Yes, there are some downsides to having a skylight in the home. From raising indoor temperatures during the summer to exposing your family to potentially dangerous UV rays, skylights can create new problems while solving others. However, these annoyances can be solved simply with professionally installed window tints. While skylights are beautiful sources of natural light that can bring the outdoors in and help cut down on energy bills, there’s no point in installing one if you can’t enjoy it. Skylights can also leave your home vulnerable to sun damage and constant glare. 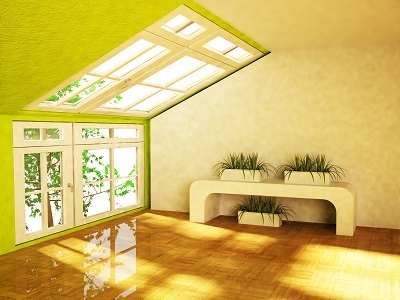 Tinting is a cost-effective way to combat annoyances associated with too much sunlight coming through your skylight. In addition, tinting has been proven to be an effective shield against harmful UV rays for both your family and your possessions. Perhaps you love the soft light that comes into your kitchen in the early morning, but can’t stand the harsh glare from the skylights during the afternoon. Sunlight hits the home at varying intensities and angles throughout the day, leaving skylights and your home susceptible to glare. Tinting helps to eliminate this effect by reducing the window’s Visible Light Transmission. Think of VLT like putting a pair of sunglasses on your skylight – the darker the lenses you have, the more light they will block and the less you’ll have to squint. Worried your window will look more like a limousine and less like a skylight? Window tinting comes in a variety of levels and colors so that you can choose the tint that both suits your aesthetic tastes and provides strong protection from the sun. With window tinting, you can take the edge off the sun’s rays and keep your most precious furniture looking its best. 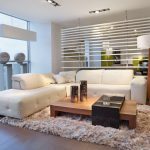 Your home and décor are major investments. Tinting is a great way to protect them. Most people may not associate tinting with security, but enhanced safety is one of the modern benefits of today’s window films. Armorcoat is one of the leading security films and is even used by the Pentagon. It goes on clear and reinforces windows so much that they are nearly impenetrable. Adding Armorcoat to your skylights means you never have to worry about cracks or damage during a storm. The clear tint will keep your home safe from hail and debris. In addition, Armorcoat is an effective shield against glass shattering during an earthquake, falling branches from nearby trees and is even strong enough to repel potential thieves. We all have those problem areas in the house that get unbearably hot when the rest of the home is comfortable. Instead of cranking down the thermostat, add tinting to the offending skylights. 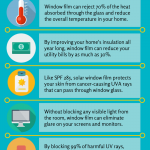 Panorama solar films are great solutions because they go on clear and prevent as much as 70% of solar heat from entering your home. While skylights can let you live the fantasy that you’re lying somewhere on a faraway beach, they can also give you all the sun damage that goes with it. Your home isn’t the only thing that’s vulnerable to damage from harsh UV rays – your skin and eyes are greatly affected too. A sheer tint can help protect your health by eliminating harmful radiation from entering the home in the first place. Pacific Window Tinting is committed to being the premier provider of commercial and residential window tinting services in Portland and the state of Oregon. Start your next project with us and see how we can make your home or business a more comfortable place to live and work.